We think Alera Office Furniture have been producing high quality chairs for some time now. 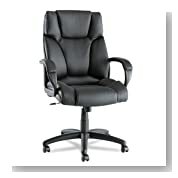 There are many different computer chairs made by the company. But we are only interested in the reviews for the really good Alera Office Chairs. 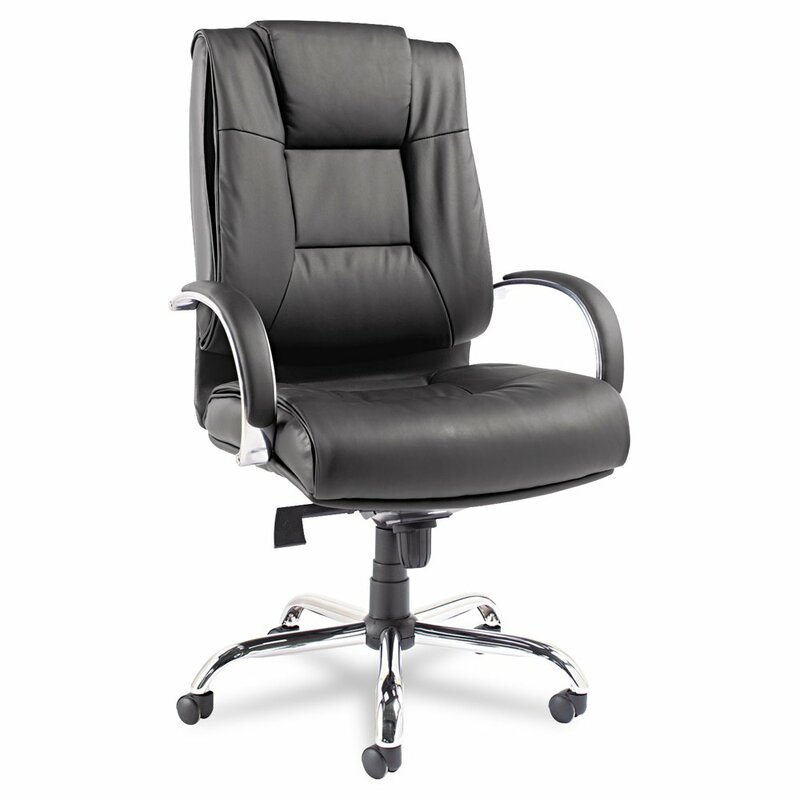 Naturally here at Office Chairs For Heavy People, we will be bringing you the heavy duty Alera Big & Tall Office Chair first. If you’re not after an Alera big person chair don’t worry, we have also reviewed some of the standard size office chairs made by the powerhouse manufacturer Alera. So lets get into the reviews. 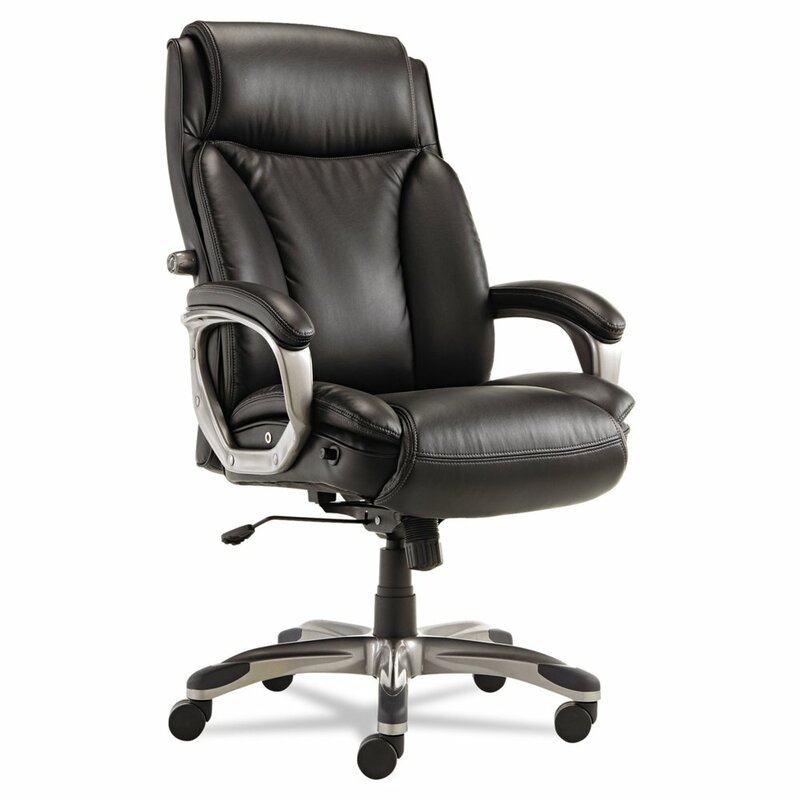 As the title suggests this is one big office chair built to hold a high weight capacity of 450 pounds. It built like a tank and is as sturdy as a rock. The height adjustments make it suitable for the taller folk as well. Adjusts high enough for many people so legs wont bend causing pressure on your ankles. The chair is actually bonded leather which I’m not a huge fan of. Assembly is quite simple, following the instructions and you should have this beast assembled within 30 to 45 minutes minutes. Quick tip: Don’t tighten the screws fully until final assembly. This makes everything line up nicely. Comfort levels for this big mans chair is quite high in our experience. The padding is well placed and nice and thick. Which I think is essential for bigger bodies. The smooth recline and swivel feature is a nice touch. The padded arms are a delight when compared to harder plastic arms. The upright positioning of the back makes it great for encouraging proper posture and soothing on the back. Wow is all that can really be said on how adjustable this chair is. Whether your 6’8″or 5’3″ finding the right zone for your body may easily be achieved. With multiple controls down the side of the seat you can adjust almost everything from tilt lock, tension knob, seat angle/slide to height adjustment. As for comfort and support the Alera Elusion does a fairly good job for the smaller sized folks, however for us big Guys and Gals, the padding I feel is not enough. 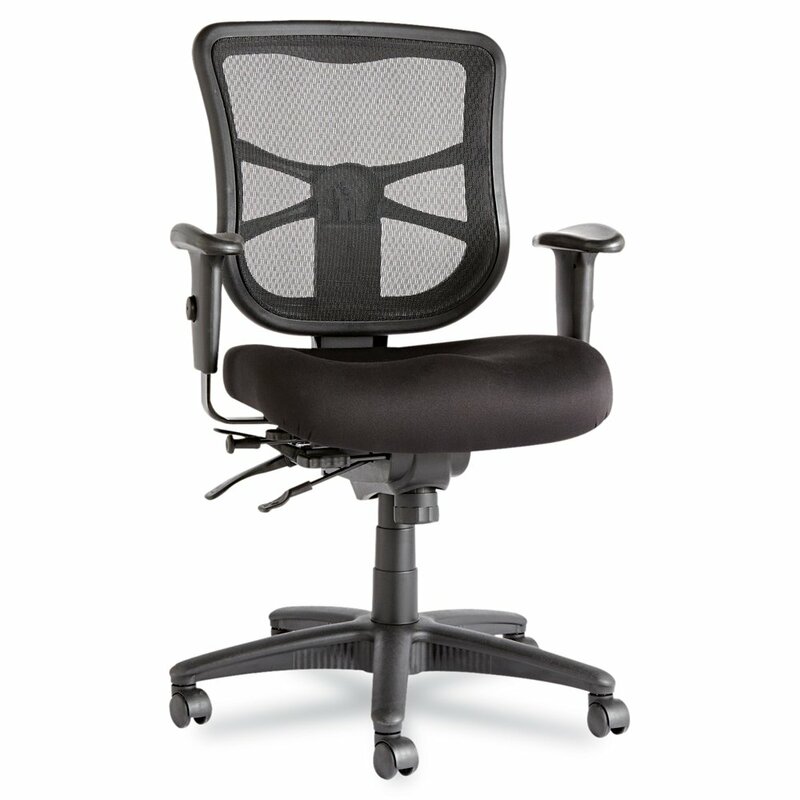 The lumbar support provides good posture support while the adequately padded seat is such a relief from the mesh/plastic style hard seats. The fabric material padded seat appears to be of high quality. While the soft mesh back encourages great posture and support, it also generates excellent airflow on your back. Keeping cool in the office is nearly just as important as correct posture if you ask me. This Alera executive chair is one of the better looking office chairs I’ve seen for a while. Besides it’s stunning looks, this chair has the potential to provide some serious comfort. The mattress like comfort claimed by Alera is one that should be tested to be believed. The padded looped arms are also are real convenience. Assembly is rather easy and shouldn’t take you too long. The adjustable lumbar support option will likely be a real success for many people. Being able to pinpoint certain pressure points in the back may relieve an enormous amount of tension and back pain. A big plus for this chair. Its a well suited chair to short and tall people alike. However really tall people may find the headrest a little low. All in all this chair may make a great replacement or addition to most offices. Especially because the price is affordable for a high quality computer chair. True value is what you get for the money you pay here I think. 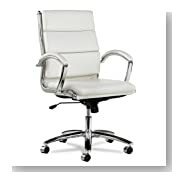 Below you can find 3 more Alera chairs including a stunning white Alera office chair which is not all that common. With most Alera office chairs, I find them to be rather decent quality while still maintaining affordability for the common home office. 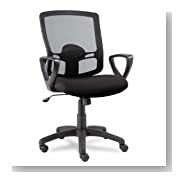 Officechairsforheavypeople.org is a participant in the Amazon Services LLC Associates Program, an affiliate advertising program designed to provide a means for sites to earn advertising fees by advertising and linking to amazon.com. Amazon, the Amazon logo, AmazonSupply, and the AmazonSupply logo are trademarks of Amazon.com, Inc. or its affiliates. I Need A Fat Person Desk Chair!